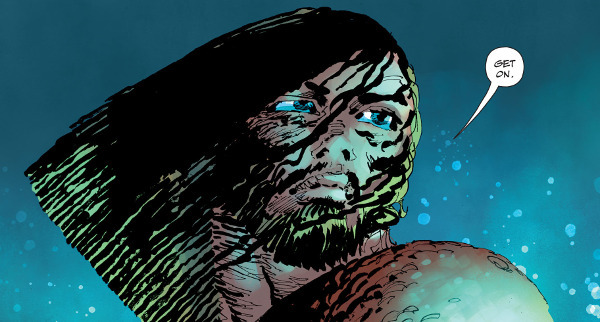 I admit, I wasn't actually expecting Aquaman to ever show up in this universe, so I'm a little shocked it happened. It apparently isn't in the main book, it's the back-up story. 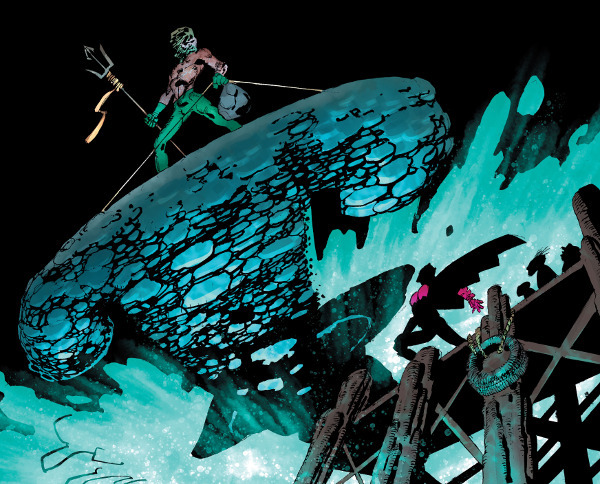 Aquaman is there to rescue Batgirl (?) and the issue ends with him telling her to hold her breath. I'll be keeping an eye on this one.